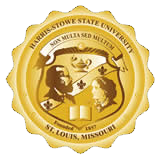 In 2016, Harris Stowe State University received a Minority Science Engineering Improvement Program (MSEIP) grant from the Department of Education. This goal of this three-year program is to increase minority representation in STEM majors and careers through focused mentoring, interdisciplinary studies, and unique education and leadership opportunities. As an urban institution, HSSU chose to focus the MSEIP program on the growing field of Sustainability and Urban Ecology.